Some of the Muslims that attended the Iftar dinner hosted by President Museveni at State House Entebbe. STATEHOUSE: President Yoweri Museveni has said the government does not believe that all Muslims are bad people unlike the general public belief. Posting on his official social media pages, the President called for more unity amongst the Muslim community in the country. 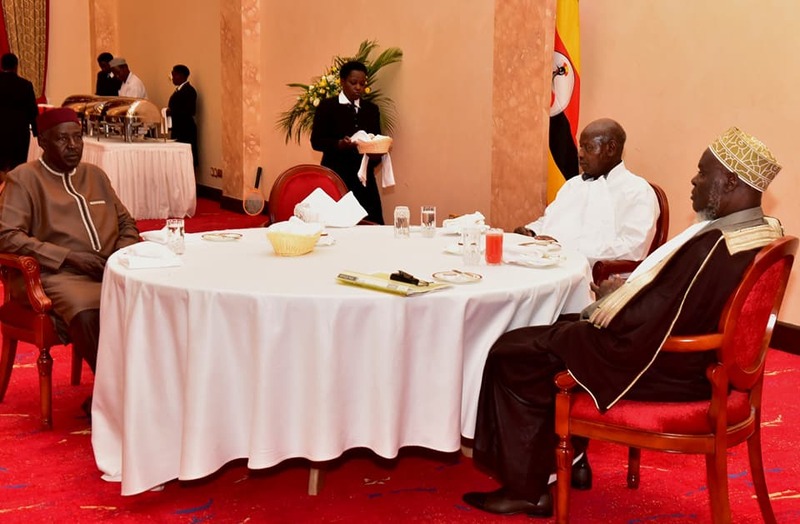 President Museveni, centre, with Mufti Shaban Mubajje at the dinner. 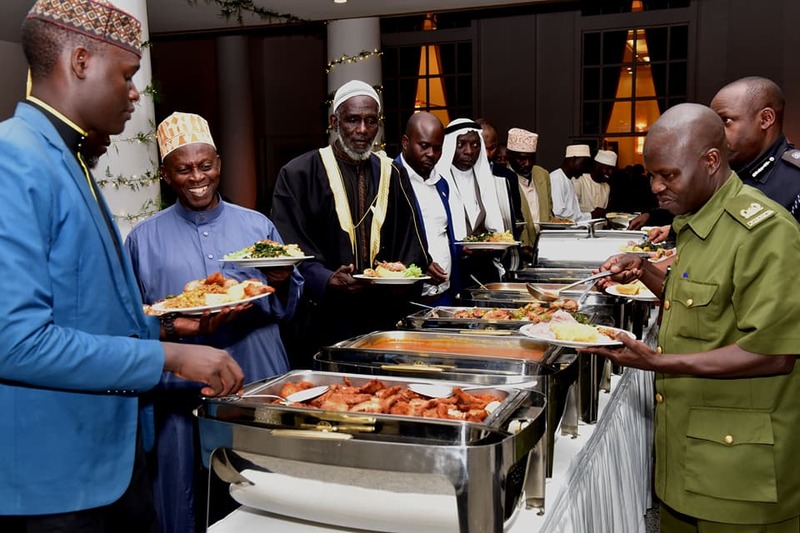 President Museveni, on Monday evening broke the fast (Iftar) with the Muslim community at State House Entebbe, where he thanked the Muslim community for contributing to Uganda’s economy especially in the field of trade. He called on Muslims to venture into farming, industries and the hospitality industry. Statistics from the 2014 population census indicate that Uganda is a predominantly religious society with 85% Christian, out of which 41% is Catholic; 35% Anglican. The Pentecostal, Seventh—Day Adventist and Orthodox denominations account for 4.6%, 1.5% and 0.1% respectively. Muslims are the second largest religious community with 12.1%, followed by traditional affiliations at 1.0%, a minute 0.1% for the Baha’i faith and finally atheists at 0.9%. Earlier this year, security operatives raided Usafi Mosque arresting several suspects that have since been arraigned in court on charges of terrorism and murder. 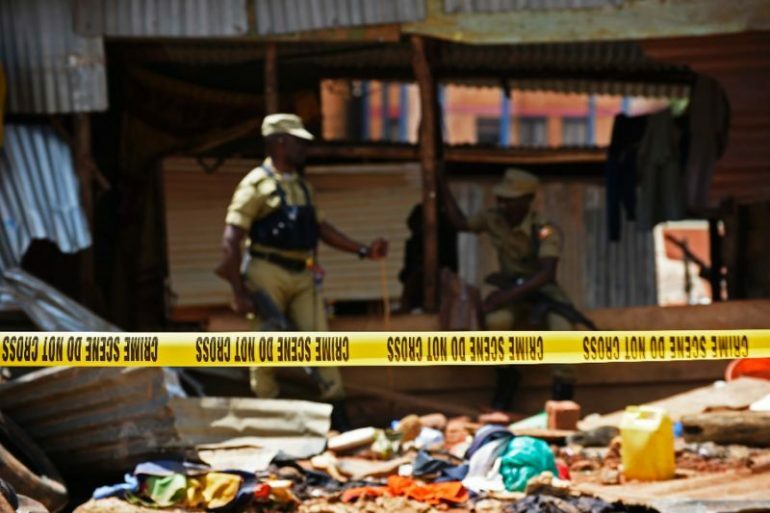 Security officers in Uganda shot dead two men, arrested dozens and rescued about 100 women and children from a radicalization center in Usafi mosque in Kampala. Before the raid, several other Muslim suspects have been appearing in different courts across the country. The raid on Usafi seems to have re-opened old wounds in the Muslim community with many claiming the government is deliberatley targeting the community. Justice Forum party leader Hussein Kyanjo, said there was no evidence to back police reports that criminals were found in the mosque and that security force were “staging events” to discredit the Muslim community all over the country. “As it is today, Muslims are the automatic suspects for any major crime in Uganda,” he said. “When we were fighting Idi Amin, we were supported by many Muslims. Just because one Muslim has committed a crime, it does not mean every Muslim is a criminal. Crime has no religion,” Mr Museveni said on facebook on Tuesday.